This stylish apartment offering views of the Mediterranean sea is perfect for those wanting to enjoy the Catalan coastline and everything Barcelona has to offer. 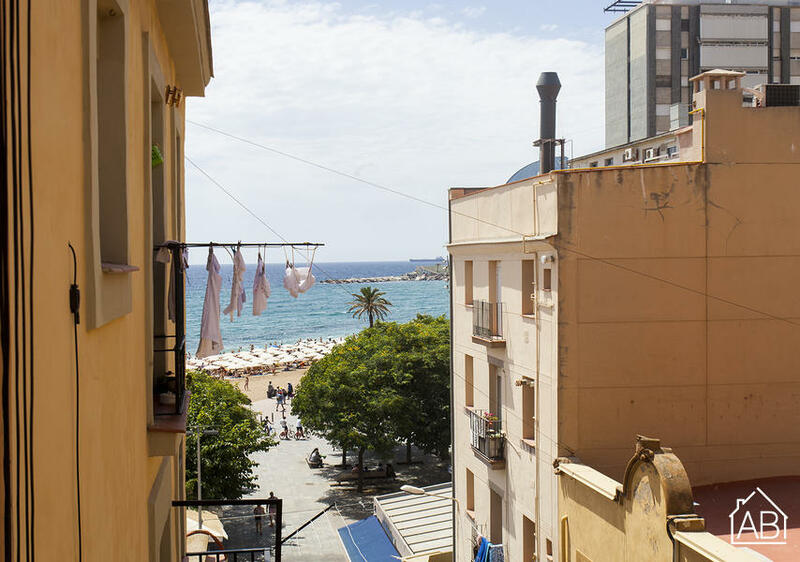 Situated right on the beach in the heart of Barceloneta’s action, it has plenty of activities, cafés, bars and restaurants on its doorstep. Finished to a high standard, with neutral colours and modern yet homely touches, you can really feel at home in this apartment. With two bedrooms it sleeps up to three people and is well equipped with everything you need. The kitchen includes a microwave, dishwasher and washing machine, perfect for long stays, and the ample dining table means you can enjoy your home-cooked meals in plenty of comfort. The living room offers a large television and comfortable sofa, ideal for relaxing in the evening and watching a programme or using the internet. A modest balcony and two sets of elegant French doors let plenty of natural light into the living room and master bedroom, which boasts a comfortable double bed and fitted wardrobe whilst the bathroom offers a large walk-in shower. With the option of central heating and air conditioning, this apartment makes an ideal choice of accommodation in Barcelona any time of year. Furthermore, this apartment also includes free bicycle parking.